Linda getting cake on her face. 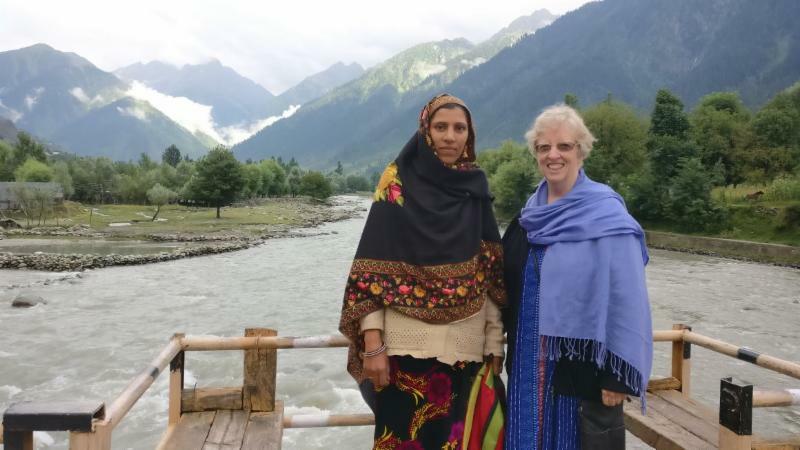 Preeti Rao gave Linda a going away party after the Weljii coach training. 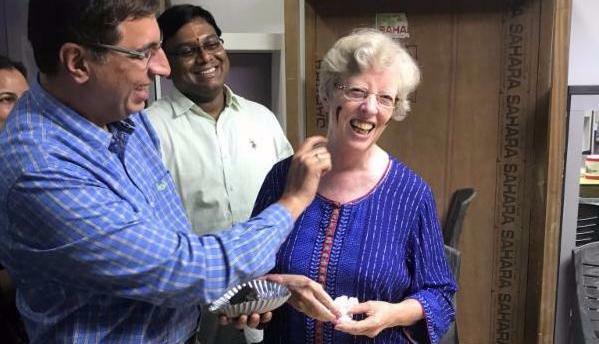 It is a ritual in India to feed cake to the guest of honor, but you can also put it on their face…so one of the doctors did just that, and you can see how much fun Linda was having! 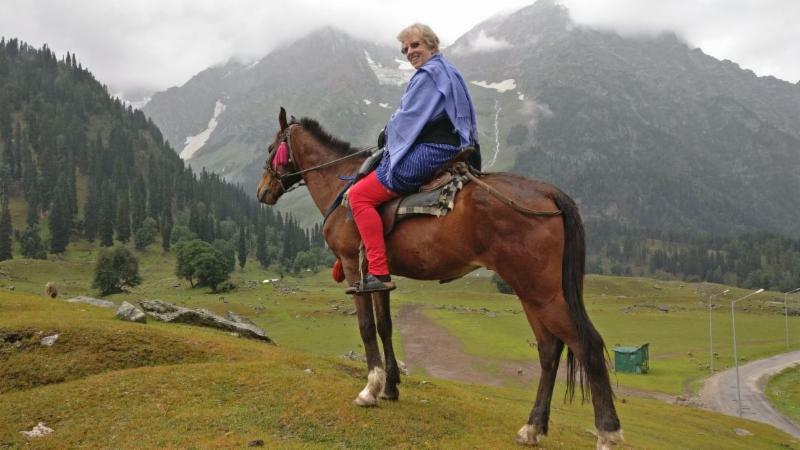 Linda was able to take some time for R & R in the high mountains and lakes of Kashmir before coming home. What a beautiful place! 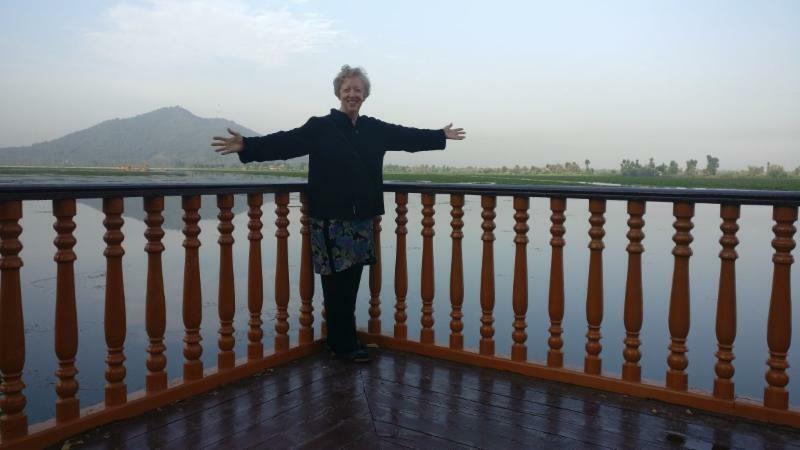 This entry was posted in News, WOW Blog and tagged coach training, health and wellness, India, Linda Bark, Preeti Rao Weljii. Bookmark the permalink. Reminded me of my childhood trips to Kashmir. Loved your pictures Linda. Glad that you had a fun trip.